Worked in the health industry for 22+ years where I worked in many different professional positions: Long term-care floor supervisor, surgical nurse, medical office nurse, Director for medical office buildings and hospital owned practices of seven (7) different local physicians, Hospital Director of Physician Relations - responsible for physician/specialty practice recruitment & their staffing, and Hospital Foundation Development Director that lead a $6.7M capital campaign that built Memorial Hospital's Herbert/Perna Health Z& Wellness Facility. In 1996 I left the healthcare arena and took on the role of the Chief Executive Officer/President of the Chamber of Commerce of Sandusky County in Fremont, Ohio. The chamber programs under my leadership for over 7 years included the Students-In-Business Partnership Day, the NorthCoast Business Expo, and the development of the Chamber's Reach Program, a business mentor program 4th and 5th graders throughout Sandusky County's schools eight (8) districts. 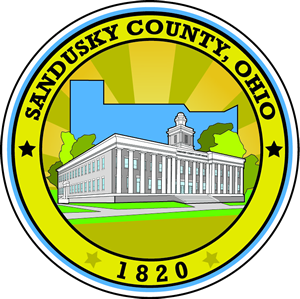 In 2003 I stepped into the role of the Executive Director of the Sandusky County Economic Development Corporation. I was responsible for SCEDC's plan of work and during that timeframe the Sandusky County Business Community realized over $1.2B in business capital investments. Most recently the Fremont-Sandusky County region was named in the top 100 Micropolitan regions in the US for our local business investment and expansion for the 4th year in a row. The organization also recently received a state level award for our THINK Manufacturing Program I a workforce program with touch points that are geared for 1,740 9th-grade students.